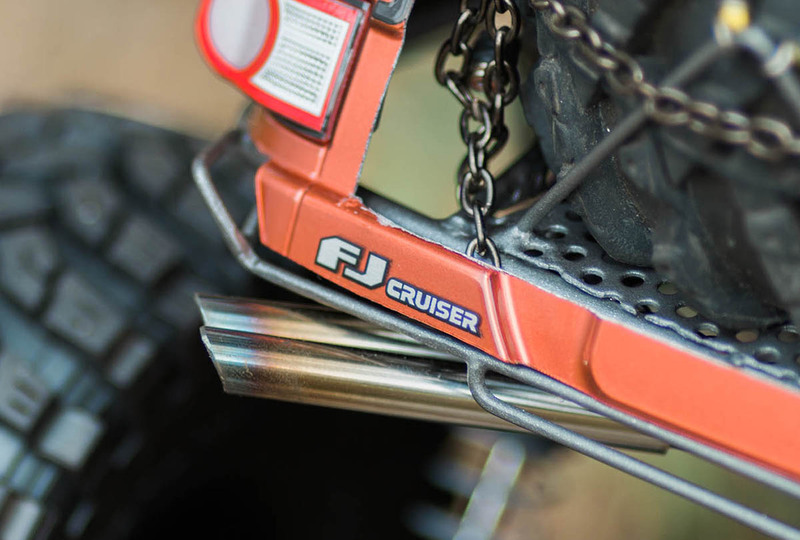 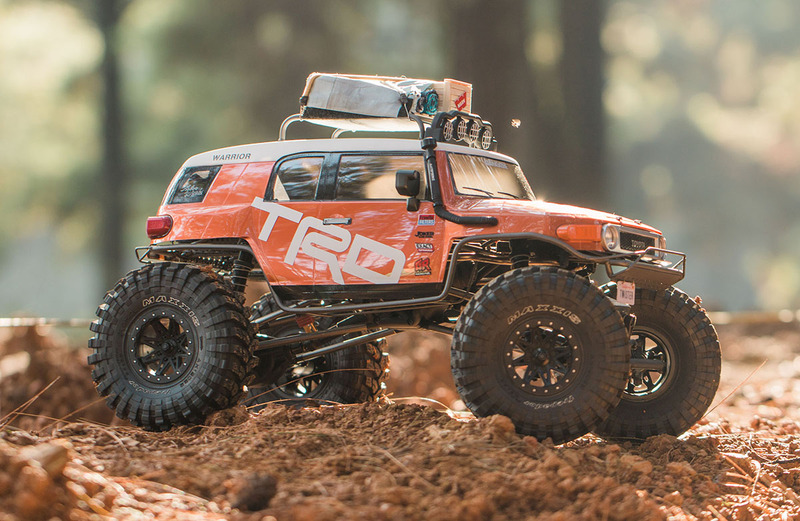 Hans’ spectacular scratch-built FJ Cruiser was inspired by the full-scale Top Truck Challenge. 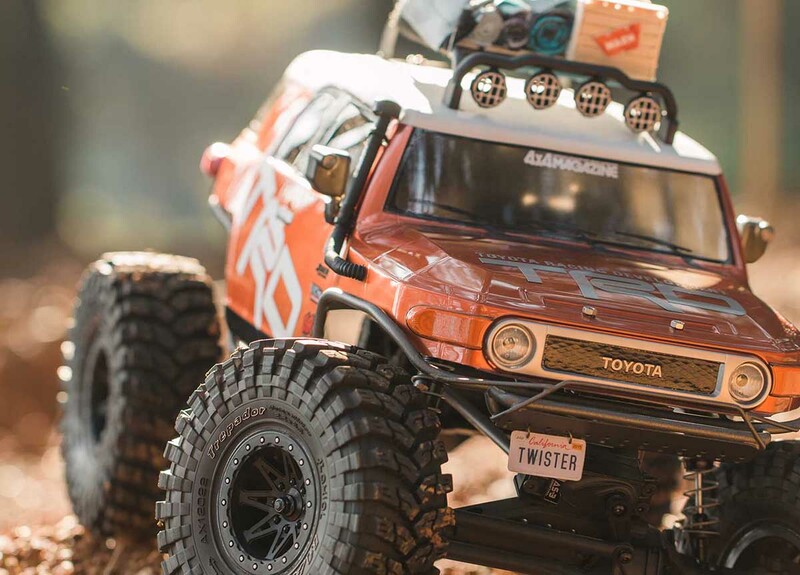 He designed and crafted the tubular chassis and cage himself, then selected a Tamiya FJ Cruiser body to hang on it, to which he added a handmade roof rack, snorkel, spare-tire mount, bungee rope, and a cool custom exhaust tip with authentic-looking heat tinting. 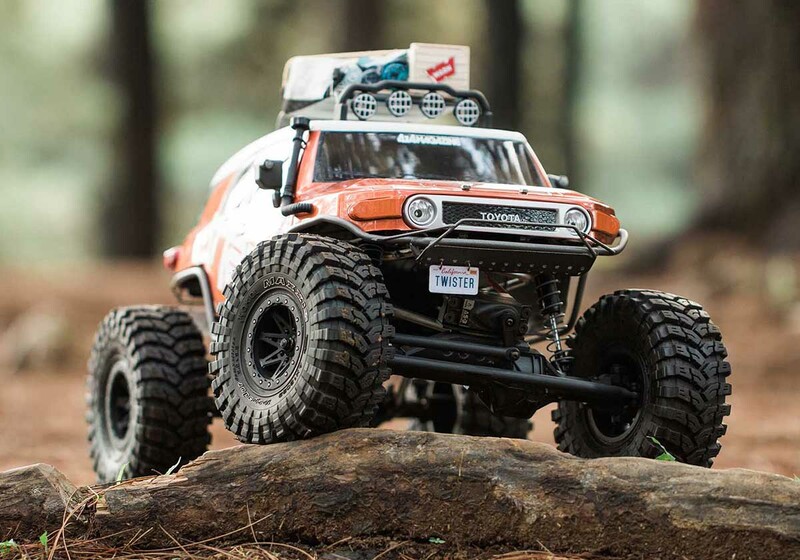 He borrowed front and rear axles from an Axial Wraith and the transmission out of an SCX10. 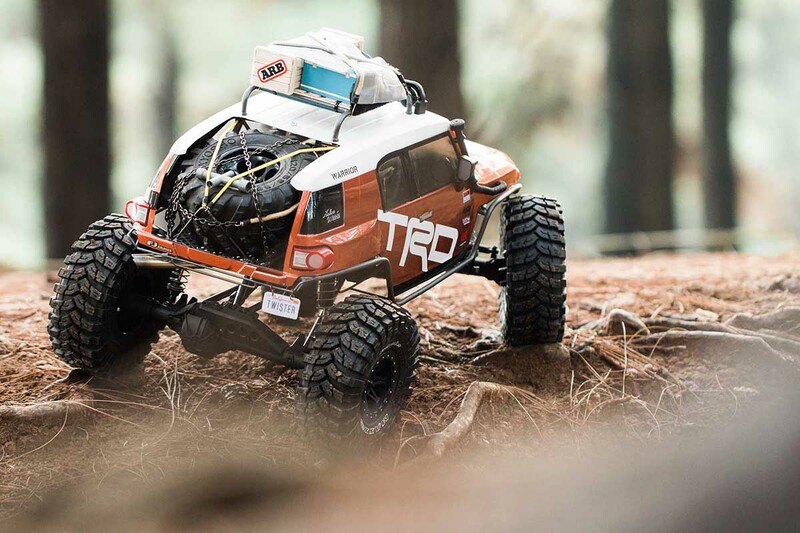 Axial also supplied the 20T brushless motor, which is driven by a Yeah Racing Tritronic 60A controller, and a Sanwa MX-V radio system and Tactic AS-3 steering servo add some control. 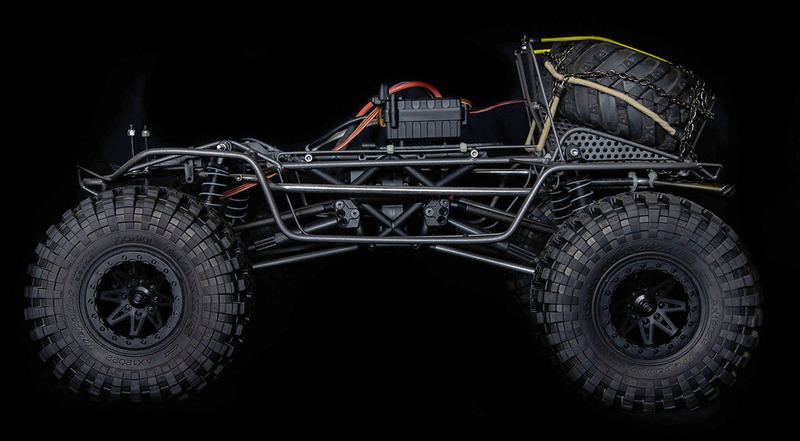 The stock suspension has been replaced by an aluminum 4-link setup, and Raceline wheels are wrapped in Axial Maxxis Trepador 2.2 tires. 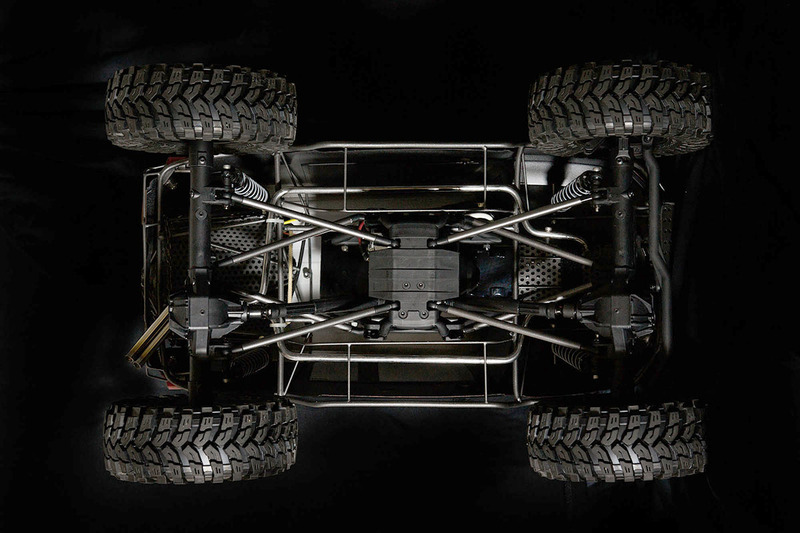 Next on Hans’s list are a set of aluminum C-hubs, knuckles, CV driveshafts, and bead-lock wheels.